Have you ever heard of crowdfunding? It’s a new way to jump-start a film, a book, a game, a musical album, a social initiative, or even a way to cover medical bills. It uses social media to act out the old adages “many hands make light work” or “little things can add up to a lot”. Basically, you crowdfund something by creating a webpage that describes who you are, your plan or project, and how much money you need to fund it. You circulate it by email or social media, and hope your friends circulate it further. Each person seeing the page has the option to put in some funds to support the project, and if enough contribute, the threshold is met and the project happens. In the recent past I have made small donations to help fund a political arts campaign, a film about a famous skeptic, an animated TV series about a Canadian superhero, a new board game, a Canadian horror-comedy movie, and the most (in)famous of all, the Rob Ford “Crackstarter” campaign. (I figured that my $10 would either help expose a serious transgression by an elected official, or else go to a good cause, as ended up happening). So not only have I learned about crowdfunding, I’ve been a part of it; each of those projects met their funding goals and is going ahead. This is part of the power of crowdfunding: not only does it allow many people to participate in funding a good cause, it also frees up projects from having to find a deep-pocketed “angel” investor or corporate backer or face never getting started. I’ve learned about other forms of crowdfunding, like people who ask friends to donate toward a medical bill, or a special wedding, or some other more personal need. The idea goes beyond conventional start-ups and becomes something like the Mennonite tradition of barn raising, where the whole community comes together to help someone in need. Except it’s not a physical community, but a virtual one. Recently, I was personally invited to a special leadership opportunity: to be trained in Chicago by Vice President Al Gore to make Climate Reality presentations in my own community. But there is a twist: although the training is free, I have to pay for my travel, accommodations, dinners and other expenses myself. So I decided to take it one step further, and try crowdfunding from the other side. I set up a page to raise the full cost, and so far I’m past half way there! This means I’ll be able to put in the many hours of intensive training, then do many presentations in our community (for which I cannot charge a fee), but I won’t have to empty my wallet to do so. If you, too, are interested in helping me, you can visit http://gogetfunding.com/project/erich-s-climate-leader-training to learn more and be part of my “crowd”. 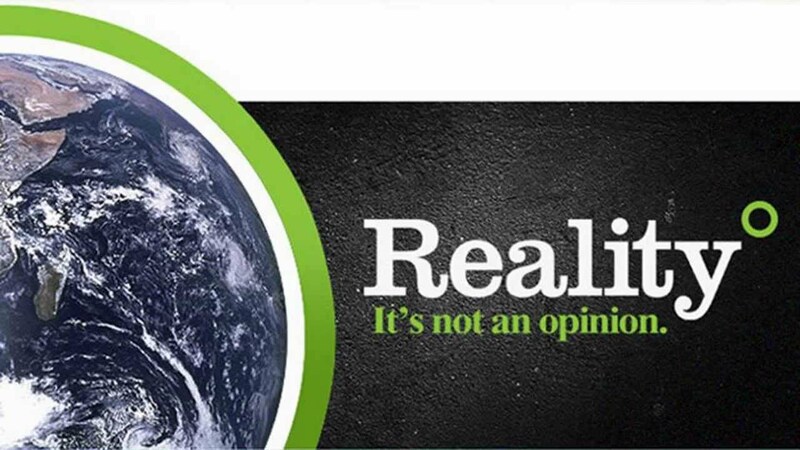 And watch this column for more Climate Reality leadership. Published as my Root Issues column in the Barrie Examiner "Tapping into crowd-funding to cover costs"
It is vital for a city to have sufficient tree coverage for healthy air, water, wildlife, and people. That’s why Gwen Petreman of Living Green pioneered the Urban Canopy Coalition to gather money and volunteers to plant new trees. Just this past April, 1000 new trees were planted along the Huronia Buffer in partnership with the Lake Simcoe Regional Conservation Authority (LSRCA) and the City of Barrie. 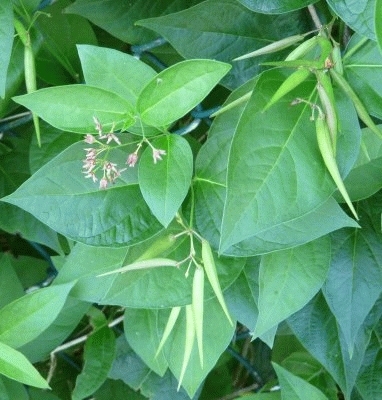 However, a new and insidious threat to these trees has arrived: dog-strangling vine (DSV)! Although not actually a threat to dogs, this invasive species is a serious threat to trees, climbing up and around them, effectively strangling them, especially young saplings. It also changes the acidity of the soil, and can take over a whole ecosystem, crowding out all native plants. It even harms our beautiful but threatened monarch butterfly, because it looks like the milkweed they lay eggs on, but doesn’t nourish their larvae, which then starve. This weed is hard to eradicate. June’s growth of seed pods scatter fluffy white seeds in late August, so we’re now in the narrow window when we can remove the weeds and their seeds before they spread. Sadly, DSV also spreads rhizomatously, meaning it can re-grow from root fragments left in the soil. So in addition to removing seed pods, we have to dig out the weeds, getting as much of the root as possible. This is easiest in the infestation’s early stages, before the plants get heavy, lie over, and create a tangled mass of vines. If don’t stop it now, within 10 years it will spread to kill 1000 new trees and all the other native plants in the area, replacing them with an alien monoculture. A tree-rescue event is being set up for this Sunday morning, 9 – noon, to try and eradicate the DSV from our new plantings before it’s too late. Barrie Chiropractic helped fund the planting and will be out in force but we need you, too! Volunteers will meet at Assikinack Public School, 226 Little Ave. at McConkey Place at 8:45 and walk back to the field. This most certainly counts toward the 40 community involvement hours students need, so don’t miss out! Dress for the weather (probably sunny) but wear long sleeves & pants with proper shoes or boots (no sandals), because the vine can irritate the skin, and there may also be poison ivy in the area. And of course, bring gardening gloves if you have them. Tools will be provided by LSRCA, but feel free to bring your own sharp spade, shrub clippers, or even scythe. You’ll also want bug spray and water to keep hydrated, plus optimism and a willingness to get the job done! Together we’ll be digging out the vines at the root, or where that’s impossible, cutting the stems at ground level, and making sure all plant parts (especially seed pods) are bagged for disposal. Published as my Root Issues column in the Barrie Examiner under the title Volunteers are needed for tree-rescue event. Thriving enterprise is crucial to sustainable local economies, but smaller businesses face marketing challenges. They can’t afford the expensive national newspaper or TV advertising campaigns large corporations regularly use to build their brand. They can print and put their flyer in neighbourhood mailboxes, but can be both expensive and wasteful; not only does it create a lot of paper that just goes into the blue box (we hope) unread, but much of it goes to households who aren’t likely clients. So what to do? Online advertising is one alternative, but there are also more humanizing approaches. Since our Green Party riding association joined the Greater Barrie Chamber of Commerce six years ago, I’ve learned first-hand the power of network marketing. Requiring only that you attend meetings and exchange introductions and business cards with other members, it creates leads and future business without papering the town. Chamber activities do wonderful things to help connect and promote local businesses to each other and the public. More recently, the Business Networking International (BNI) “Simcoe Executives” chapter has adopted Living Green as their sponsored charity member, donating the annual membership fee and fundraising on behalf of our local projects, like tree-planting. BNI is more structured than most networking activities: each chapter forms a tight group of mutually supporting members. The special twist is that instead of marketing to each other, members effectively becomes sales reps for each other, through referrals. For example, a BNI member who is a house cleaner notices a leaking pipe and refers the homeowner to the plumber from their BNI chapter. The homeowner benefits from an established relationship with a trusted provider (instead of having to choose blindly from phone book ads or mailbox flyers), while the tradesperson gets business without advertising cost. The basic principle is called “Givers Gain” (a version of “what goes around, comes around”), and by carrying each other’s business cards and recommending them to clients in need, members build up each other’s businesses. All this happens during the course of their regular day, rather than having to hire a dedicated sales force, do cold calls, or cut down trees. If you’re curious about how BNI can help you grow your business, a fantastic opportunity is coming up to experience it first-hand. Simcoe Executives’ annual “Great Canadian Breakfast” is Wednesday, July 17th, 7 a.m. at Tangle Creek Golf Course. Along with a deluxe breakfast, you will network with hundreds of other local businesses, get inspiring self-promotion ideas as BNI chapters compete in the Infomercial Challenge, and hear keynote speaker and Master Performance Coach Rich Grof’s “Tale of a Lion, a Monkey, and a Bucket of $100 bills”. No tickets at the door, they must be booked by July 10, so to get your spot now, call Gwen at 705-722-5377 or email gdpetreman@mcgann.ca. Published as my Root Issues column in the Barrie Examiner under the title "Networking event a great way to make new contacts".